When Susan Weseen was dreaming up a name for her granola company, she took a drive down Brooklyn's Fourth Avenue. She became inspired by a dragonfly that buzzed in front of her windshield for several blocks. She grew up in northern British Columbia, and dragonflies were one of the wild creatures that accompanied her through childhood. She was impressed by this city cousin, but not too impressed. "I said to myself, 'If this is a sign, I need more'," Susan explains with a laugh, "Then on my drive home, another dragonfly followed me all the way back." As a child, Susan's family lived in a rural area, surrounded by few people and a huge garden. They canned and pickled, and made many foods from scratch, including bread, yogurt, and granola. When she moved to the United States for college, her shift at the local food co-op was to bake granola. Yet Susan's lifelong joy of making granola faced a challenge when she was diagnosed with Grave's Disease, a hyperthyroid condition. Her symptoms ranged from arrhythmia and a racing heartbeat to muscle weakness and weight loss. Doctors said her choices were either to remove her thyroid with radiation or take strong medication with serious side effects for at least a year and with a 50/50 chance of success. Susan, however, refused to concur. She reset her body by eliminating all potential trigger foods from her diet -- gluten, sugar, nuts, etc. -- and then added them back in slowly. She learned a lot through the process, including that her hyperthyroid symptoms are triggered by gluten. Then she took her granola recipes through the same process of investigation. Today Susan has regained her health through an array of diet changes. 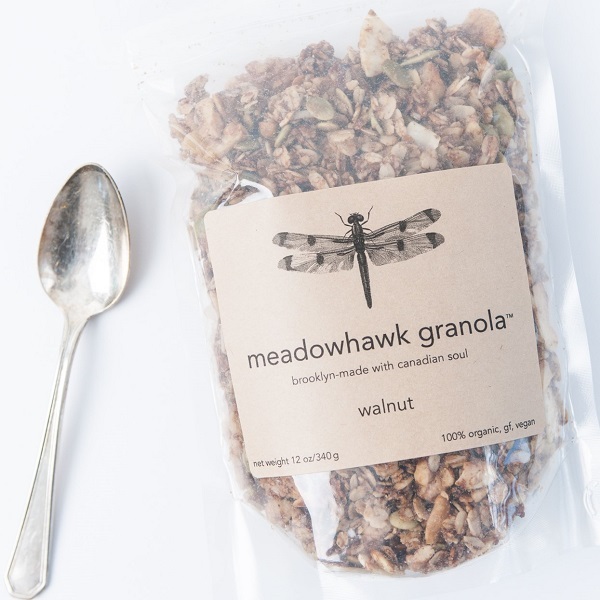 Her granola has undergone a similar process, and now the Dragonfly Granola product line includes gluten-free, nut-free, low-glycemic, and original varieties. "This challenge became my opportunity," says Susan.